With any new comic comes new learning curves. I try to reimagine how I work and focus on why I do the things I do, what I need to do, and what I shouldn’t do. I attempt to predict the future and guess what I’ll use, how uniform I’ll make things, and how much effort that will take. Comics such as Allan and The 600 were purposefully done quickly and loosely. It made them more fun. This comic is fun for exactly the opposite reason, though. In other news, welcome to The Future Universe! 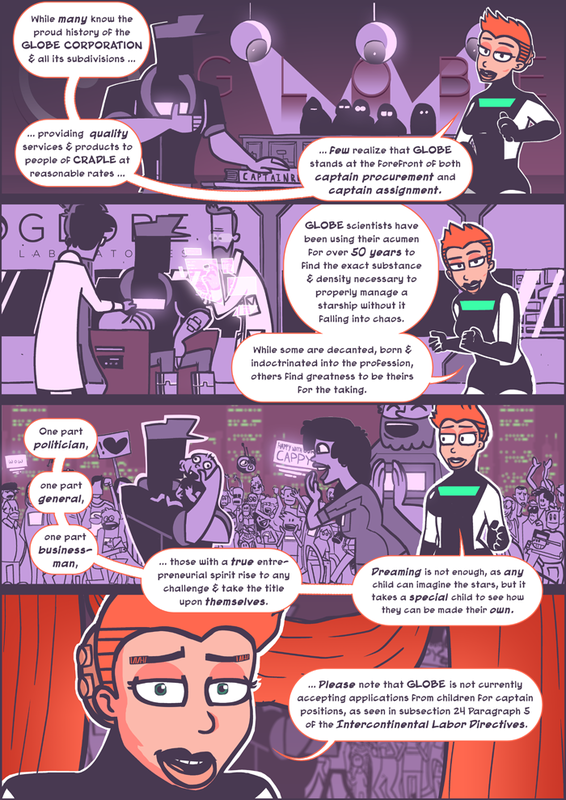 I know a lot of you are wondering what exactly this comic is and what this whole thing about a “wiki” is and how is it open-source if it’s a comic what does that even mean? Well be sure to check out the About page, because I just updated it!